Please click on any brand below for more information, case studies, models we repair, and common problems. These are just some of the brands that we repair at Northland Tool. If you do not see yours, please contact us for more information on your specific brand. I really didn’t expect this; You guys really pulled it off! My many thanks to Sandy, Louis and your outstanding crew for helping us get back into production. Lou all in all everything is running good. Just had a call from Sandy just the other day, its funny great minds think alike. Its great not to be sending spindles out on a regular basis since you addressed my problems, but I know they will still be coming sooner or later. Never a problem when we get them back , run better than new. Hope everything is ok there. Please tell everyone there that we here appreciate everything that you do to keep us up and running and the quick turnarounds. Have delt with the rest now deal with the best. Have a great week end and up and coming holiday. Both of the spindles that you repaired are on the machines and running great. We don’t have any spares for those grinders. We probably will not be purchasing a spare, as you have been able to turn around the repairs quickly and the price of a spare is cost prohibitive. I am writing to thank Northland Tool for going the extra mile and saving my company from expensive machine downtime and expensive repairs. 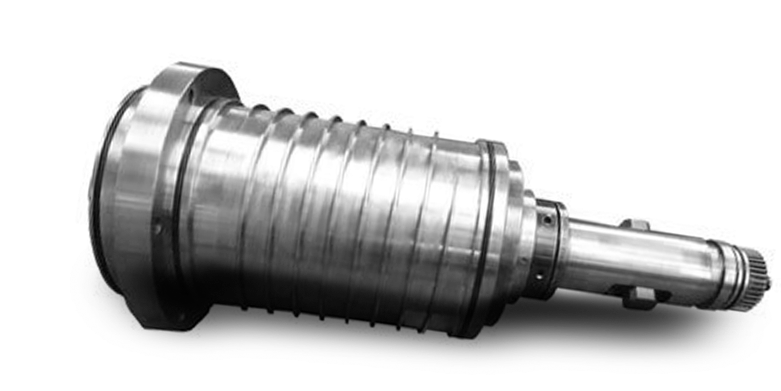 We have always sent our Chiron spindles for repair as a shaft with bearings. None of our previous rebuilders pointed out the bearing fretting or the fact that the housing in the machine was out of tolerance and causing premature failure to the spindles. After Northland fixed the housings the spindles have never sounded as good or run as well! Great job guys! The detailed cause of failure reports and the expert technical advice that Northland Tool provides is bar none the best I have ever seen. We struggled to keep two of our large our milling spindles running for longer than 6 to 12 months. Northland Tools evaluation showed that the hydraulic nuts were not holding the assembly together causing premature spindle failure. We discussed this in detail and mutually decided to modify the spindle shaft to prevent this from occurring again. The first spindle we performed this on is still in the machine running like new after 3 years. That’s over three times the life of previous repairs and it’s still going strong. Easily over $40,000.00 of savings so far on that one machine and counting. Your people go above and beyond the call of duty when it comes to spindle repair. When we had difficulty with the spindle installation and we were able to talk directly to a spindle technician that helped us troubleshoot the issue it helped us out of a bind. We have sent several spindles to you and have nothing but great things to say. Thank you for your attention with my quick turn spindle repair. Your status updates allowed me to plan around machine downtime and I now know that you deliver on your promises. In the past other spindle repair vendors talked a big game and consistently failed to deliver. You not only delivered my spindle before the due date but you kept me informed throughout the entire repair process. You performed a miracle with my BIG PLUS spindle. After crashing the spindle severely damaging the taper we found that a replacement spindle was not only cost prohibitive but had a long delivery. Your repair was a fraction of the cost of new and you never would know that the spindle was damaged to the extent it was.